A Muslim group demanded a ban on Priya Prakash Varrier’s song, saying it hurt their religious sentiments. It’s been only few days Priya Prakash Varrier’s “Manikyala Malaraya Poovi” song from the upcoming Malayalam film, “Oru Adaar Love”, went viral because for her expressive eyes and an innocent chemistry shown between a teenage couple. 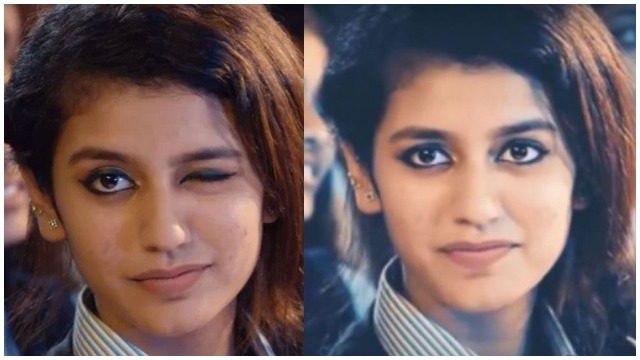 Hyderabad youth has raised an objection and registered a police complaint against the ‘expression’ of Priya Prakash Varrier’s viral song from the movie Odu Adaar Love. Hyderabad youth claims that the lyrics of the song ‘Manikya Malaraya Poovi ’ is hurting their religious sentiments. Muslim youth from old city have filed a written complaint with the Falaknuma police, stating that the picturisation of the song is hurting Muslim community. The lyrics of the song ‘Manikya Malaraya Poovi’, when translated into English, is blasphemy and insults the Prophet. Police have registered the complaint against the movie director Omar Lulu and others, assuring they will examine the content of the song. Priya Prakash Varrier became an instant hit with Malayalam song “Manikyala Malaraya Poovi”. The song is viewed more than 14 million times. The movie “Oru Adaar Love” is yet to release and is already landed in a legal soup.